I talk often about how the planets don’t pull your strings, but rather how they mirror your potentials. But the Sun or Moon aren’t planets. Yet they affect you the most. The Sun warms, sheds light, helps things grow, dry things out, promotes the growth of bacteria, nutrients, and chemicals that make us who we are. The Moon is in a gravitational alliance with Earth and the Sun. Without the Moon in orbit, you’d drown in tsunamis as the Earth spun out of control, off its axis. Tides are affected by the Moon’s Phases, too. So think about it… Earth is made up of approximately 71% water, and the average adult is comprised of about 65% water. I’ve created a 4 Part Moon Series for you so you can take full advantage of what the moon means to you, your money, and your intuition. Approximately every 2.5 days, the Moon travels from one constellation to the other. During the period when the Moon is between constellations, essentially homeless, (for moments to hours to days), it’s in a phase called Moon VOID of Course. (I know, it sounds like science fiction, right?) But it’s a real, astronomical event. Astrologically, the Moon represents your emotional and financial self, your relationship to your feminine parent (might be mom or dad), which sets up how you allow yourself to have abundance in life, and how you choose to express yourself. If the Moon has such an immense impact on the oceans of the world, imagine what it’s doing to you! It also affects your Intuition. On a personal note, I’ve chatted with many clairvoyant counselors. We all concur… that if we’re dehydrated, we have trouble getting clear, and we get tired faster in sessions. Then we’re unable to help our clients. The Moon casts a glow on the shadow side of your unconscious self, and your dreams. When the Moon is Void, the physical, material world can become illusive, non productive. As if it fades or malfunctions. What’s initiated in a Moon Void, over time, eventually becomes null and void.That means purchases (bag of apples to a lottery ticket to a house), contracts (business to marriage) don’t take a strong hold in the material world.And no, I’m not saying to hide in the closet. This is about working with available energies to master your universe.A client worked for months on a 2 day promotional event. After she set up her agenda, marketed her materials, and hired all sorts of vendors, she was sorely disappointed at the results for all that effort. We chatted post facto and I looked at her event date. The first day of her event was a Moon Void all day long. Lots of people showed and everyone loved what she had to offer. But only 1% of her attendees bought her products.Just as you might not go picnicking during a snowstorm, it’s important to heed the flow in a Moon Void.So… what’s a Moon Void good for? 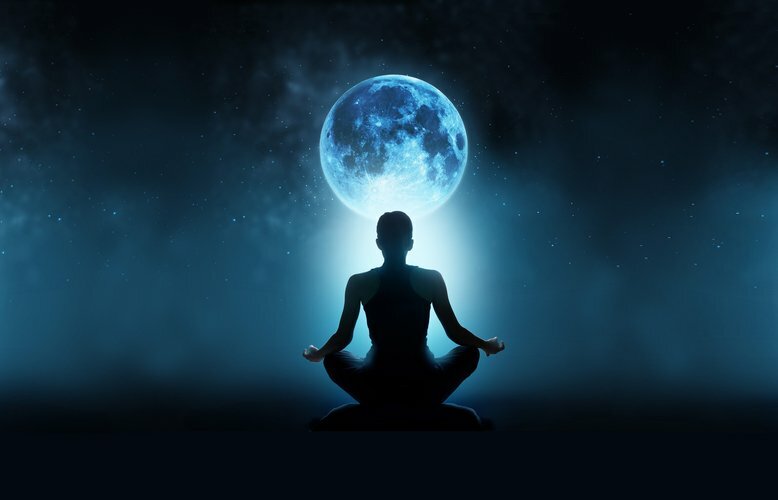 A Moon Void is the perfect time to reconnect to yourself and your purpose. This is a time to Meditate. Play. Pray. Get in touch with your feelings and intuition. It’s the Cosmos’ way of saying, ‘Take a break from the mental grind to pause and reflect on your existence.’Okay, not everyone can put their lives on hold in a Void. But you can minimize and mitigate future confusion and losses by being as present as possible in the moment. Especially in Void moments. What to expect when the Moon is Void? First, give yourself a 6 hour window, pre and post Void, before reentering the material world.Next… pay attention. You might feel edgy, cranky, depressed, or euphoric, or even light-headed. Act accordingly.You might feel like picking a fight. Interesting. What else are you holding?You could feel nauseated with too much motion. Slow down. Are you a spin mistress? The Cosmos telling you something? You might feel freer than you’ve ever felt before and suddenly have amazing ideas.Maybe meditate more, daily, and listen to your gut to keep that flow going. Don’ts during a Moon Void of Course…1. Shy from initiating new business, first time meetings, repairs, installations, or purchasing big ticket items. 2. Not the best time to ask someone out on a date or to propose marriage. 3. Installing technology or hooking up major appliances can wait. 4. Traveling might become frustrating. Now, I’ve been on an airplane when the Moon turned Void.The trip actually went faster. But my connecting flight was delayed for hours! Hahaha.Personally, I don’t answer business calls, travel far, or make arrangements or commitments for future events. I definitely don’t use mechanical or sporting equipment as they have a tendency to malfunction. Oh and… if we’re in a Mercury in Retrograde and the Moon is Void that day, perceptions are way off across the board for everyone. See where you have a need to force an issue or spin with activities. Stop. Pause. Breathe. Nap. Meditate. Read a book. Check in with your body. Each Void is different and lasts anywhere from two minutes to two days. Experiment with it. See how you’re affected or what happens to plans and investments of time, energy, money, materials, initiated or enacted in a Void. You can view times and days for this year’s Voids at Judith Ryan’s astrology site to help you plan your own calendar. Just be sure to adjust for your time zone. 11. Restart all electronic equipment and gadgets 2 hrs after the Void ends. Now, I know if you’re not aware of Moon Voids, it can sound like a lot. But knowing the timing of the Moon’s Phases, specifically Moon Voids, can help you to go deeper into the patterns that stop your natural intuition from flowing. Take a few minutes, in any of the Moon’s Phases, and close your eyes. Align your body, mind, Spirit connection for all kinds of success.If you’re not clear and centered, what types of decisions and choices will you be making? Uh huh… exactly!